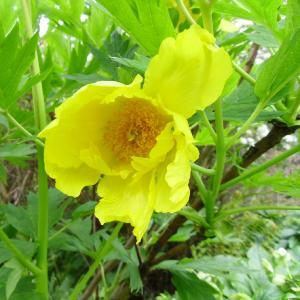 Paeonia ludlowii, is a medium high, deciduous shrub, belonging to the tree peonies, that is endemic to South-East Tibet. In Tibet it is known as lumaidao meaning "God’s flower". 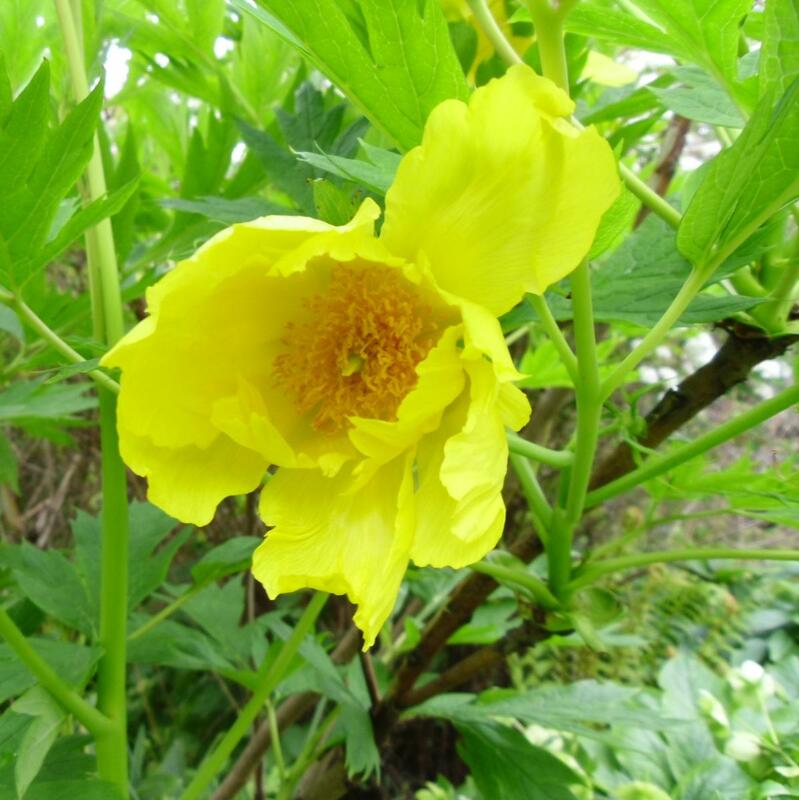 The vernacular name in China is "da hua huang mudan” meaning "big yellow-flowered peony". In English it is sometimes called Tibetan tree peony or Ludlow's tree peony. 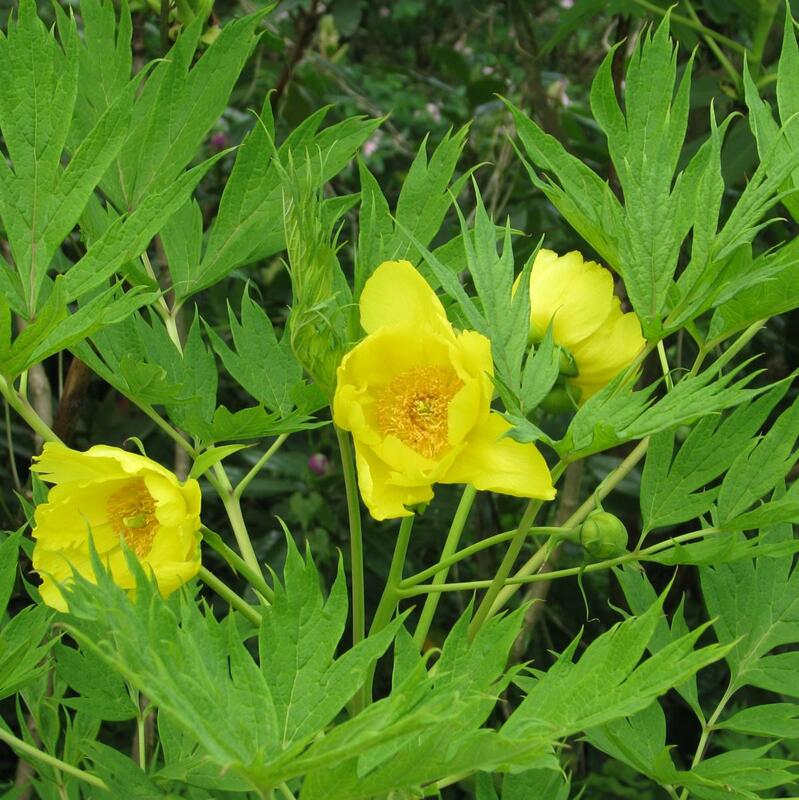 It has pure yellow, slightly nodding, bowl-shaped flowers, and large, twice compounded, light green leaves. P. ludlowii is a hairless,elegant deciduous shrub of 2-3½m high. 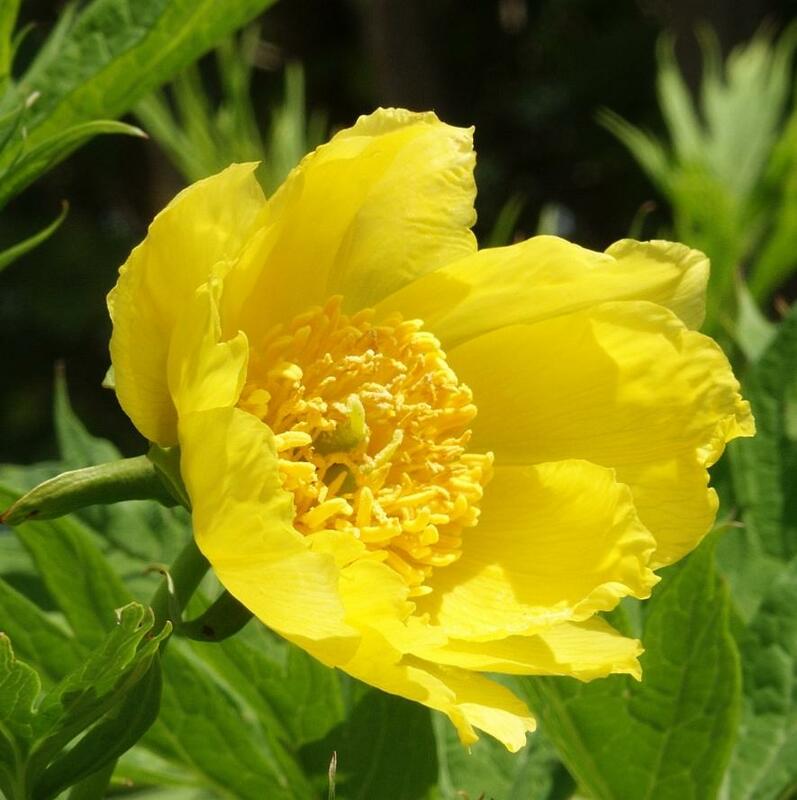 Paeonia ludlowii is grown as an ornamental, for its delicate foliage and bright yellow flowers in spring. In cultivation, it does best in fertile,neutral to slightly alkaline, well-drained soil. Specimens prefer to be planted deep and dislike too much water. In early spring and during summer high-potash liquid feed stimulates richer flowering. The species was named in his honor Frank Ludlow who collected this species in the Tsangpo Valley (upper Bhramaputra river) in 1936 for the first time known to western science, on his expedition with Major George Sherriff in South-East Tibet.